The Caribbean Premier League playoffs begin on Tuesday night with the first qualifier taking place in Guyana which is handy for the Guyana Amazon Warriors as they get a home match against the Trinbago Knight Riders. The winner of this match will go straight through to the final but the loser should not panic too much as the beauty of finishing in the top two means that whoever is beaten here will get another chance to make the final on Sunday. The defending champions began their campaign a little ropey but then they hit a groove and powered clear of the rest of the competition. They lost their last match which will have disappointed them a little but it should be noted that they gave a few players a rest so how much we should look into that remains to be seen. Prior to the previous match, where to be fair the dew had a huge impact on the game, the Trinbago bowling attack had been in top form and with the batting depth they have in their side they have pretty much every box covered. If there is an issue it is with their opening pair with the bat but a good start is a luxury with their batting depth rather than a necessity. When you looked at the Guyana Amazon Warriors squad on paper before the tournament began it didn’t look like a unit that was going to finish in the top two of the table after the regular season. They should be given credit for doing that. They have conditions that suit at home but their performances away from Guyana have been extremely competitive too. The Guyana bowlers have gone well in all conditions but at the beginning of the competition it was their batting that you worried about. The longer the season has gone on though the more confident and competent they have got with the willow in hand and all of a sudden you would be a fool to write off the Amazon Warriors. I would expect the Trinbago Knight Riders to recall their starters so the likes of Ali Khan and Sunil Narine should be recalled. Kevon Cooper might just have done enough in the last game to keep his place. Guyana Amazon Warriors may decide to go into this match with the same side that overwhelmed Trinbago on Sunday to book their place in this contest. It will be interesting to see who takes on the captaincy for them. The Trinbago Knight Riders will be stronger than they were on Sunday but that blitz that the Guyana Amazon Warriors delivered will have done plenty to both sides heading into this contest. Guyana will have taken a lot of confidence from it and there is no doubt Trinbago will have some doubts in their minds after the blitz they ran into. This is effectively a home match for Guyana and if their young batsmen can deliver the goods again then I think they are huge value to see off the defending champions. The fact that Guyana get another chance if it all goes pear shaped should allow their strokemakers to play with the required freedom to give their side an excellent chance of coming through. I’m with the Amazon Warriors here. 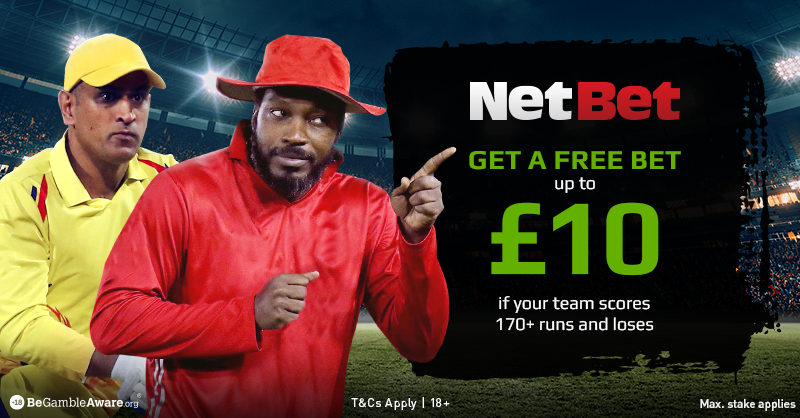 Be the first to comment on "CPL 2018 Qualifier 1 – Trinbago Knight Riders vs Guyana Amazon Warriors Betting Preview"